Do you want to enable user reviews on your site? Customer reviews and testimonials can greatly increase sales using a psychology phenomenon known as social proof. In this tutorial, we’ll show you how to allow users to leave a review on your WordPress website. The first thing you need to do is install and activate the WPForms plugin. Then you’ll need to create a submission form. For this, we’ll use the blog post submission template. Here’s a step by step guide on how to allow users to submit blog posts. To access this addon, you must have the Pro license plan. To get this result, we modified the blog post submission template slightly. 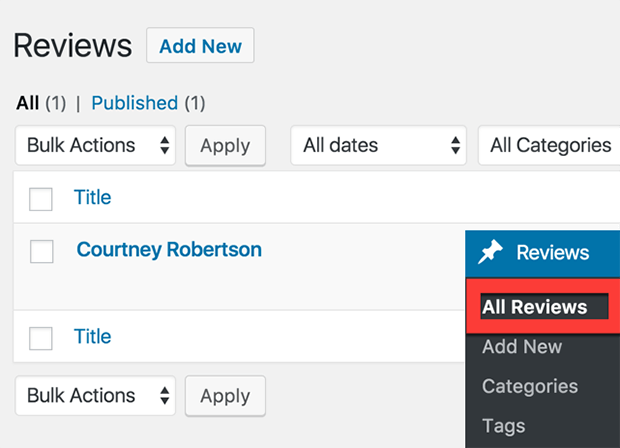 We modified the name of two fields: File Upload is now named Profile Photo and the Blog Post Content has been renamed to Review / Testimonial. We also swapped the normal Post Title field for a hidden field to spare users needing to fill that out. Instead, we’ll set the form to automatically use the visitor’s name as the post title when we configure the post submission settings later. 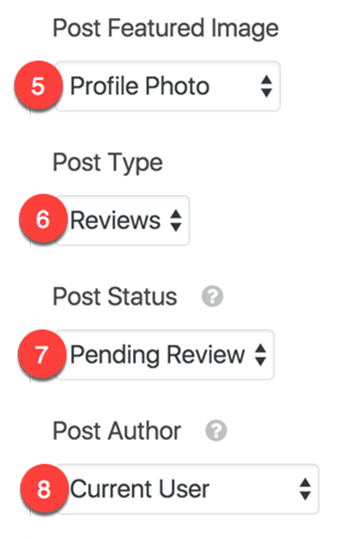 We want the reviews to appear as an item in the navigation menu and have all the features that standard blog posts would have. But, we don’t want to mix the reviews in with our blog. To solve this, we’ll use custom post types. Custom post types are content types like posts and pages. A post type can be any kind of content. In our example, we’ve used the plugin Custom Post Type UI to create a post type named Reviews. 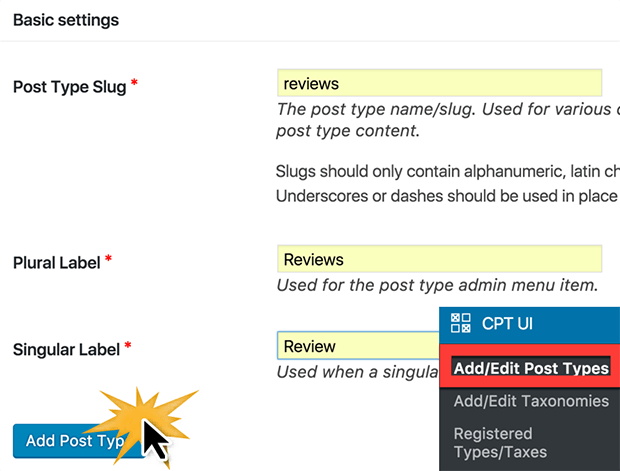 You can see this tutorial to learn more about how to set up custom post types. You’re nearly there. 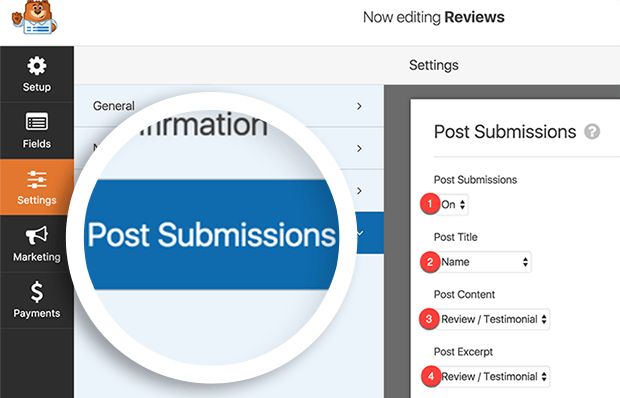 Now it’s time to ensure that each form submitted is connected to the Reviews custom post type. Go to Settings » Post Submissions. We renamed the Post Content paragraph field previously. You may or may not want to display Post Excerpts based upon your theme. For now, we used the same information as Post Content. 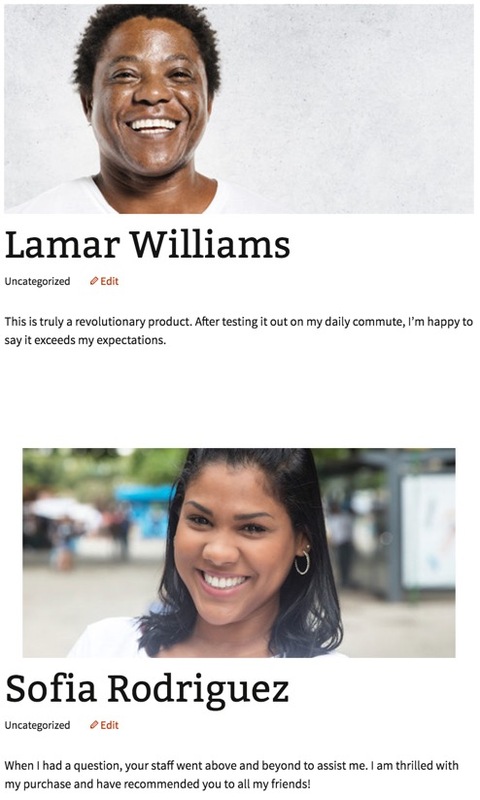 Featured Images are usually displayed as the post thumbnail or image at the top of an article, depending on your theme. We’ll use the user’s profile that they upload. In the Post Type we can choose the Reviews custom post type that we created. The Post Status determines if submitted reviews will require approval before they are published. If your theme displays the author of the post, you might want to specify that information in Post Author. We have everything set up to accept testimonials and reviews. Now we just need to fill the form out and check our results. Go ahead and publish your form in a post or page. Then fill the form out as a test entry. After that, you can go to the Reviews custom post type to view your entry. 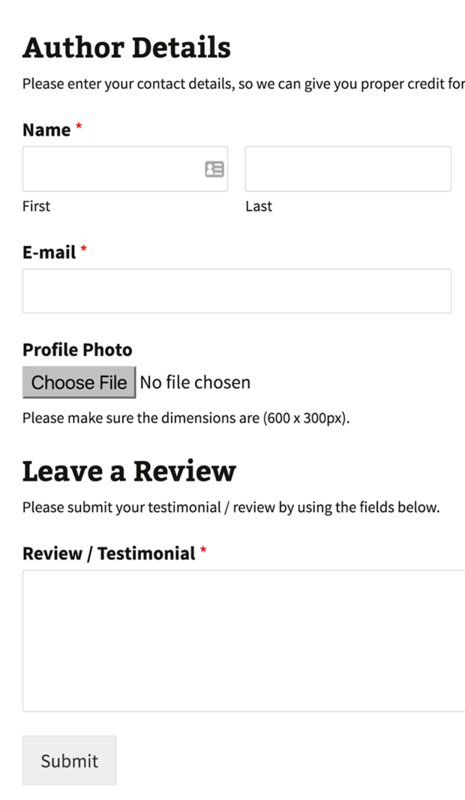 Finally to display your reviews on your site, there are just a few settings to adjust. Go to CPT UI » Add/Edit Post Types. Within the Additional Labels options, give a name to the Archives. And from the Settings panel at the bottom, change the Has Archive to True. Then go to Appearances » Menus and add the link to your reviews. Now you’ll be able to see your reviews in the navigation menu. Then head back to Reviews and publish any pending posts. Lastly, go to your site to view the reviews. In our example, the link is http://oursite.com/reviews. That’s it! Now you can allow users to leave reviews on your WordPress website. 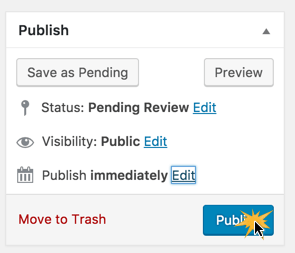 Want your users to be able to upload files to your site, without having to submit a whole blog post? Check out our guide on How to Create a File Upload Form in WordPress. To learn more about promoting your business and getting more reviews, check out this beginner’s guide to email marketing. If you liked this article, you can follow us on Facebook and Twitter for more free WordPress tutorials.